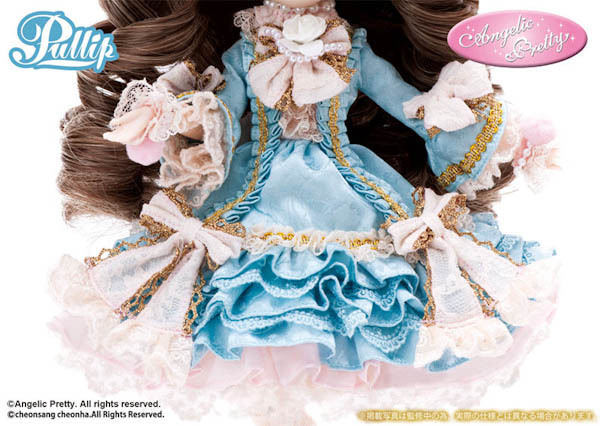 In celebration of Angelic Pretty's 15th Anniversary, Angelic Pretty & Groove Inc teamed up to present fans with a doll draped in an outfit that draws inspiration from a France Queen! 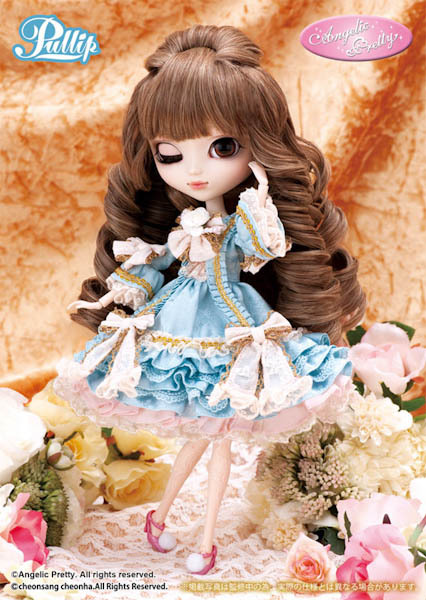 Gracing your Palace September 2016 is Pullip Marie. 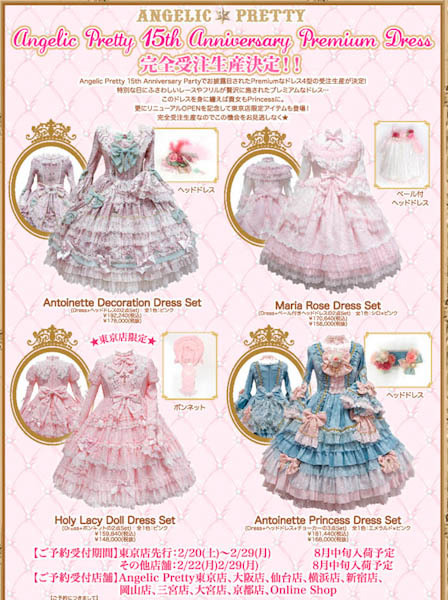 In late 2015 Angelic Pretty announced a collection of premium outfits to coincide with their 15th Anniversary. 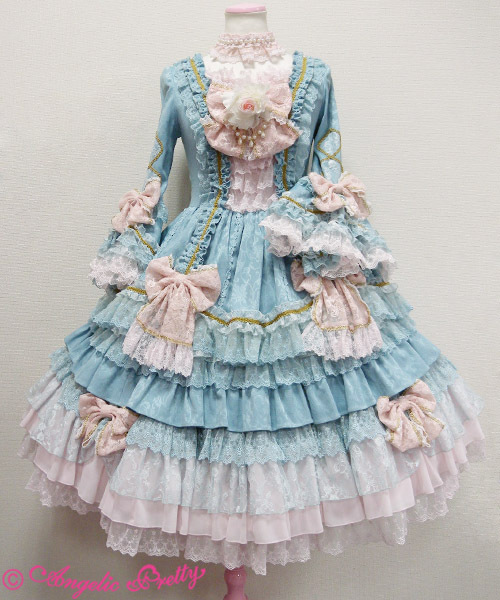 The line of clothes were named Angelic Pretty 15th Premium Dress and was heavily influenced by French fashion with an emphasis on Marie Antoinette. 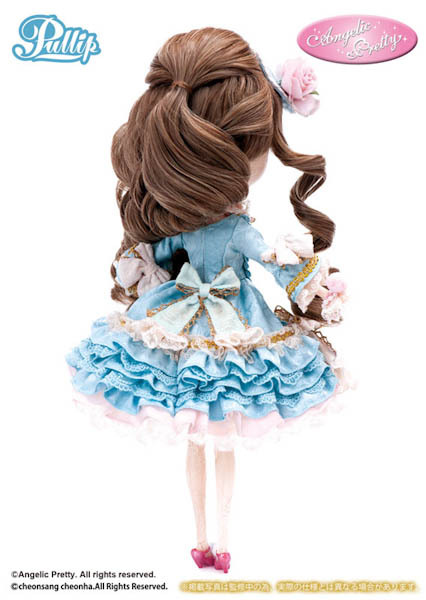 The dress that Pullip Marie is wearing was designed after the life sized dress named "Antoinette Princess Dress"
Do you like this dress choice or do you wish Marie was wearing another dress from Angelic Pretty? 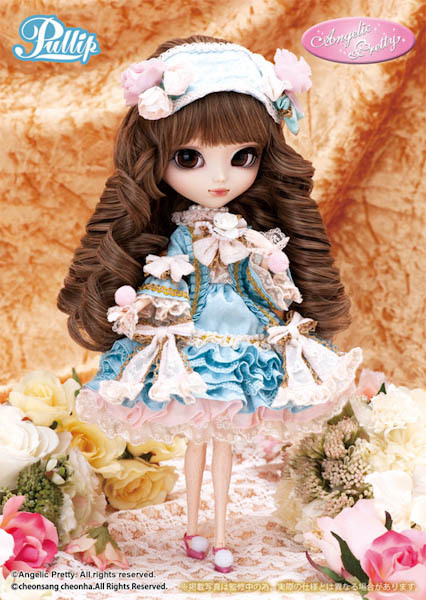 I like the doll and the dress very much but I think I would rather see her in pink! 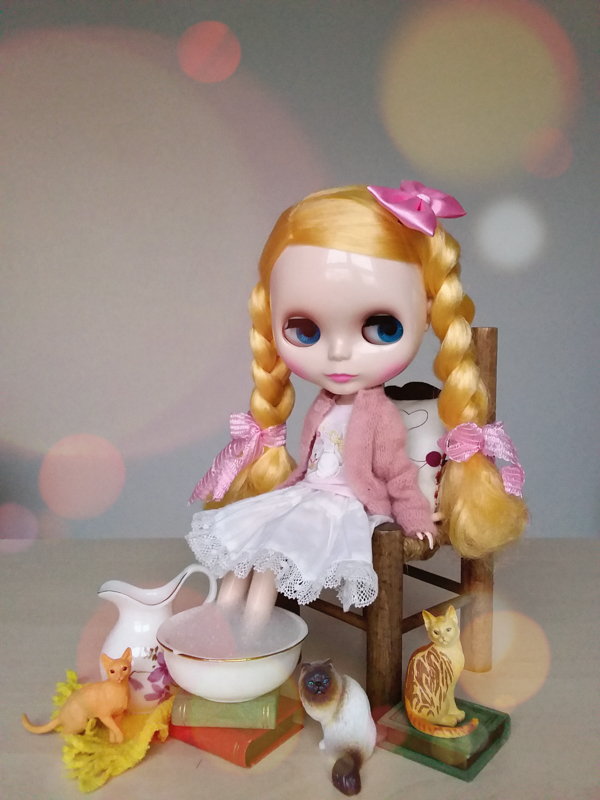 Groove loves color variants who knows they may make one 1 of the pink dresses in the photo above, so your wish for a pink dress might come true. 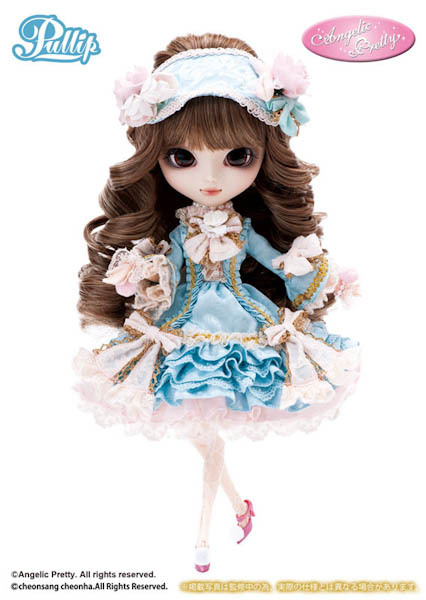 It has been awhile since Groove teamed with Angelic Pretty hopefully we can expect to see more gals and a few boys later in the year. 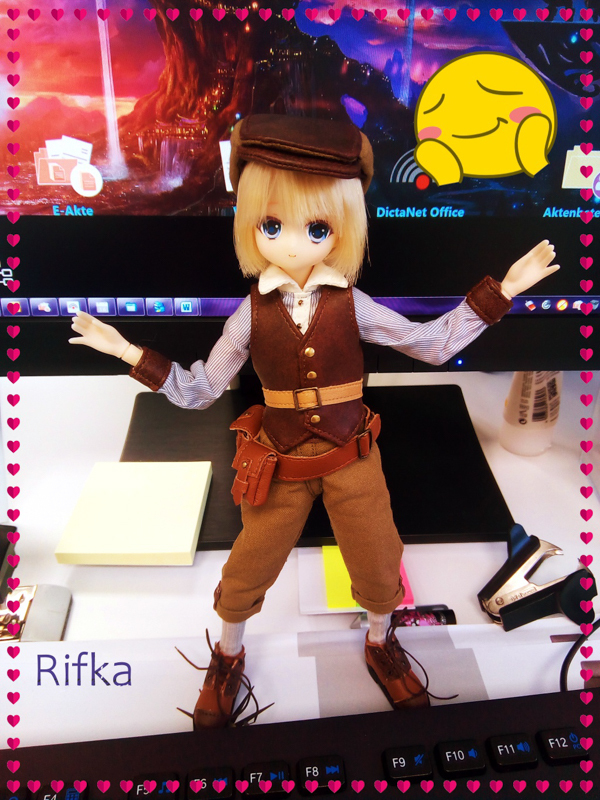 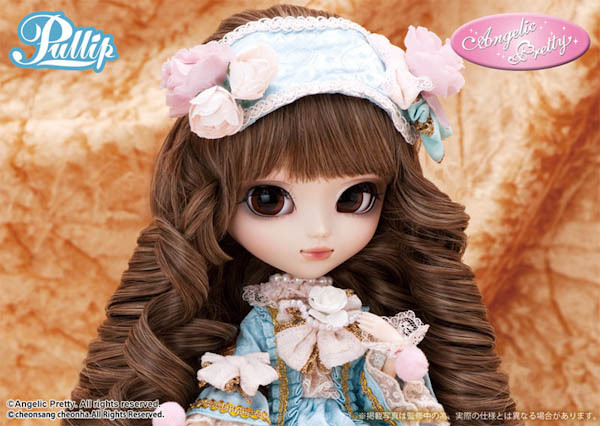 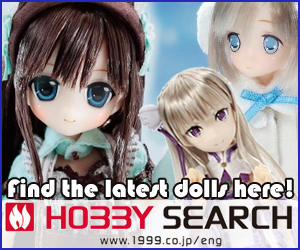 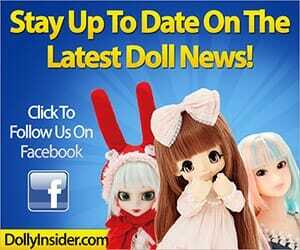 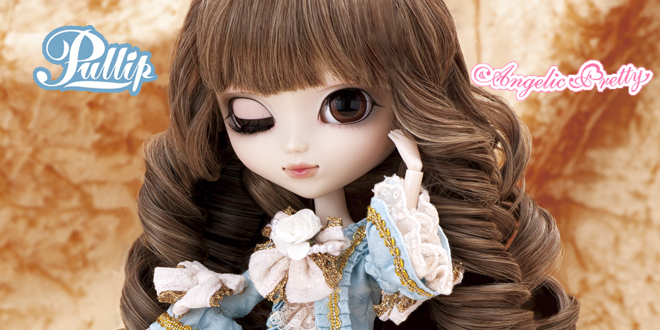 Thanks for taking the time to comment on Pullip Marie!